Watsons Personal Care Stores (Malaysia) Sdn. Bhd. is part of the Health and Beauty Store chain of A.S Watson, the largest health, beauty, cosmetics and perfumery retailer in the world. 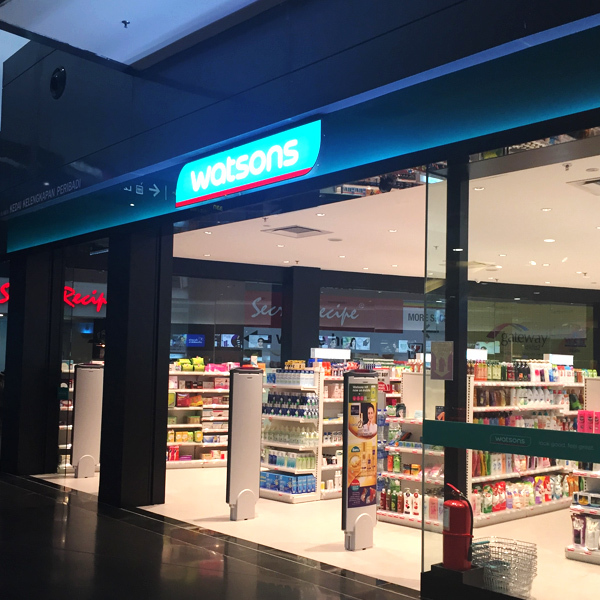 Today, Watsons H&B Asia is the leading health and beauty chain in the continent with successful operation in 9 markets (Hong Kong, China, Singapore, Malaysia, Thailand, Indonesia, Korea, Taiwan, and the Philippines).